Cekamon expert nailing table - Demands and Offers for wood and wood products. ID 461708 Adjustable template for all standard pallets with 9 blocks or 3-4 stringers. b. open and perimeter based under deck. 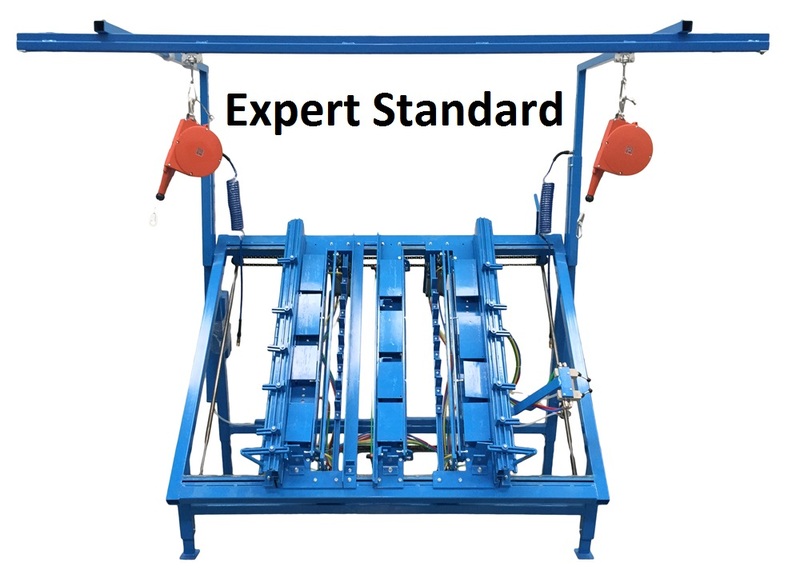 Finished pallets are ejected pneumatically. Adjustable and removable latch plates. 6 pieces 200 x 120 mm and 6 pc. 250 x 120 mm. Can be equipped with two spring balancers on a rail. The frame also serves as a buffer tank for compressed air. 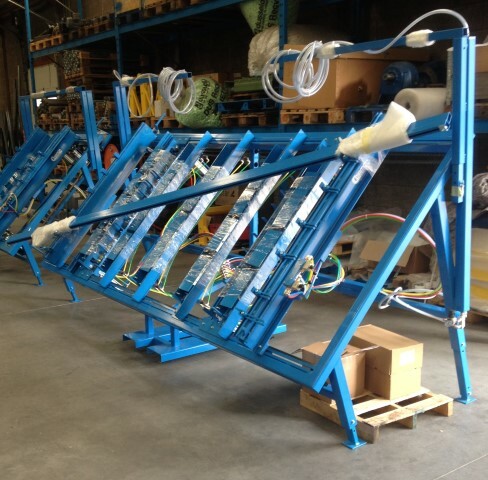 Also available in XL version for pallet production up to a length of 3.400 mm. Adjustable template for all standard pallets with 9 blocks or 3-4 stringers.